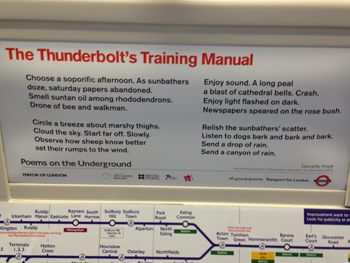 On the way into London on Sunday, under skies promising copious rain, I sat opposite this poem on the tube. 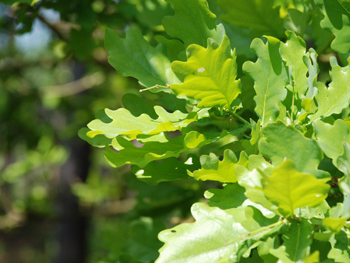 To see the poem at a decent size, I’ve also posted it on Flickr. 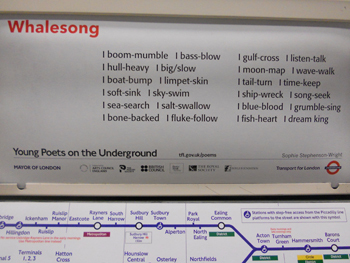 I always look for and enjoy the Poems on the Underground series, which take the place of the regular ads, and I’ve posted about one of the poems before. I love the final ‘drop’ and ‘canyon’ lines… every deluge starts with a single, pregnant drop of rain landing on your face.